Global climate change is leading to the rise of §ocean temperatures and is triggering mass coral §bleaching events on reefs around the world. 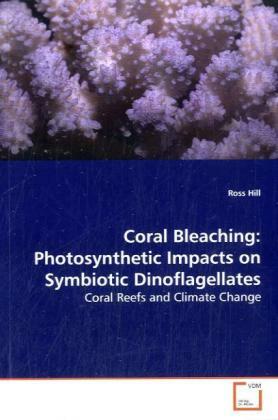 The §expulsion of the symbiotic dinoflagellate algae from §the coral host is believed to occur as a result of §damage to the photosynthetic apparatus of these §symbionts, although the specific site of initial §impact has not been identified. This book provides §evidence of impacts to a number of sites within the §light reactions of photosynthesis and evaluates the §efficiency of photoprotective heat dissipating §pathways. Specifically, the oxygen evolving complex, §the Photosystem II reaction centre and the thylakoid §membrane, are examined to evaluate thermal §sensitivity. The capacity for symbionts to survive §in the water column once expelled from the host is §also explored. This book should be useful to §students and professionals working on climate change §impacts to coral reefs, as well as those interested §in developing skills on coral health assessment.